In my blog posts I probably give the impression that I win most of my games against the computer. Of course, it’s only natural that I prefer to show the games where I played well. Also, because I intend this blog to have some instructional value for human players, I feel as if my readers will be more interested in games where I can explain the thinking process behind the moves. In a game where the computer wins, it’s difficult to say anything about its “thinking process,” which is completely different from a human’s. Nevertheless it’s important to learn from our losses, and there is a particular category of losses against the computer that I would call “epic fails.” These are the games that leave me wondering, “What the hell just happened?” Games I should have won but lost, or games where I didn’t see any danger and all of a sudden the computer finds a tactic that wins material. Today I’ll show you three of them, which all took place in August. Position after 53. … Bg2. White to move. For White, this position is about one thing and one thing only: queening the h-pawn. But of course, 54. h8Q? is no good because of 54. … Rh3+, deposing the newly crowned White monarch. How can White ensure a successful coronation? I think the main reason I overlooked this line was that I didn’t see the little dance with Rg6+ and Rh6. Plus, I had only seconds left. Instead I played what I thought was a routine trade, 54. Nxf1??? But there are no routine trades against a computer! What is the move I overlooked? The answer is once again a king move: 54. … Kf6! To my utter disbelief, the game is now lost: Black has closed a mating net around my king. In order to escape the mate I have to give up my rook, and then of course the pawn promotion is prevented too. White resigned. This was a bitter loss for several reasons. Shredder’s strength was set at only 2004, and when its rating is that low, I usually expect to beat it. Not only that, it had started the game playing the Borg Defense (or Grob Reversed), 1. e4 g5?! and so I had literally had the advantage from move 1 to move 53. Nevertheless, one “routine” move on move 54 turned victory into instant defeat. Position after 29. … Qxf4+. White to move. Again I’m White, and this time Shredder’s rating is set at 2371. I had missed a win earlier in the game, and now Shredder has extremely dangerous counterplay. In particular, a key piece is that pawn at a3, which I call a “bone-in-the-throat pawn.” Shredder loves pushing pawns to a3/a6 or h3/h6, and this game shows why. It constantly creates problems for me. Back-rank checks can become back-rank mates, and if Black can ever get his queen on the long diagonal, the check on b2 could be deadly. On the other hand, Black has back-rank issues too. So, just like our last example, it is an incredibly tense position. What is the best way for White to get out of check? Automatic… and wrong! Of course you can understand that I wanted to save the bishop and remain a piece ahead. But this move just walks into a mating net. Similar to our last game. I think that mating nets are harder for humans to spot than computers, especially with limited time. Once again I was left with a feeling of “What the hell just happened?” One moment I thought I was a piece ahead. The next moment, I’m getting checkmated. What should I have done in the diagrammed position instead? In a word: Not lose. Because 30. Be3 loses by force, and both king moves look awful (e.g., 30. Kd1 Qxd4+ 31. Ke2 Qd2+ and … Qxc2), there’s only one move left: 30. Re3! This move changes everything! If 30. … Rxd4?? 31. Qe8 mate! and if 30. … Qxd4 31. Rxa3 gets rid of the “bone-in-the-throat pawn” and Black has nothing better than a draw by perpetual check after 31. … Qa1+ 32. Bb1 Rd1+ 33. Kxd1 Qxb1+. Why didn’t I find this move? In short, because it looks so terrible! It places the rook into a pin, and it’s only defended by a bishop that is, shall we say, a dead bishop walking. So the question has to be asked, what if Black doesn’t take on d4 yet but first creates luft for his king with 30. Re3 g6? Well, it’s hard to give a definite answer, but Rybka says that White is completely equal after 31. Qe2! White’s idea is basically not to waste time shedding tears for the bishop, but instead to maximize his one asset: the passed b- and c-pawns. After 31. … Qxd4 32. Rd3 looks good enough to equalize. And after 31. … Rxd4 32. b5! White is prepared to give up all of his kingside pawns to push his queenside pawns. This is really too complicated for human analysis, but the main point is: White has a chance. In the other lines, White had no chance. As the mathematicians say, Q.E.D. Position after 12. … Bb4. White to move. Once again I’m playing White, in a position that came from a King’s Gambit. I was pretty happy here. I’m a pawn up and just one move away from completing my development, while Black is two moves away (at least). 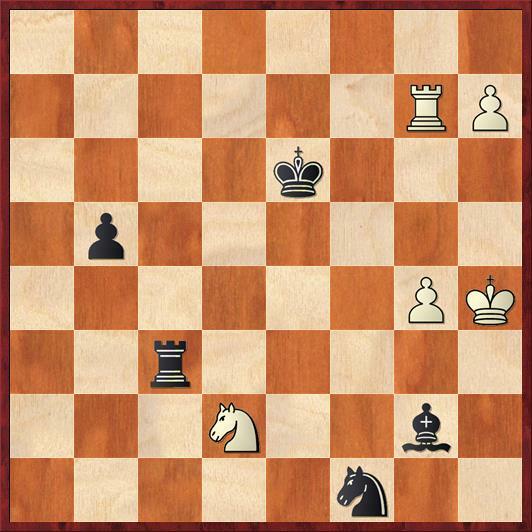 Would you believe that White is going to resign this position two moves from now? Nothing wrong with this move. I’m threatening to fork the queen and rook with 14. Nf6. What’s this? Shredder isn’t even paying attention to my threat? In my confusion, I convinced myself that I was losing after 14. Nf6 Qxf3 15. Nxf3 Bh3+ 16. Ke2 Rg2+ 17. Kd3 Rf2, when the unfortunate lineup of White pieces on the f-file costs me a piece. But it’s not true! Rybka says that after 18. Ke3 Rxc2 19. Rac1 White stands much better. For example, 19. … Rxc1 20. Rxc1 Bd6 21. Ng5. The twist at the end of the combination! So in fact I trusted my opponent in a second way! In both of these variations I thought that losing the pawn on c2 was some kind of disaster, but really it didn’t hurt me at all. Thinking that the pawn on c2 was my biggest weakness, I overlooked something much bigger. Oh, no! 15. Nxf3 Bxe4 16. cb Bxf3 loses a piece. One more good-looking game ruined. In the first position I think you were following the right principle; stopping counter-play is generally the first priority in a winning ending. That usually involves trading down as a key strategy. Unfortunately in the game position there was a concrete threat that you missed. I could see that happening to a lot of good players in a speed chess time control. I 100% disagree. In my opinion this is a huge (and common) strategic error. I see weak players making this strategic error all of the time, chasing after material when they are already up material. They just need to keep safe, consolidate the position, and trade off the opponent’s active pieces. Instead they allow counter-play for sake of an extra pawn or two. Ask yourself the Mile Splane question, How am I going to win this game? 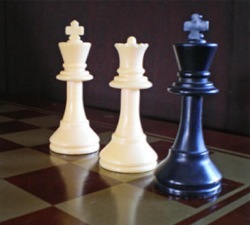 If your answer is I will neglect development, neglect king safety, allow counter-play and not aim for the easy win in the endgame because my opponent (a computer) might miss a one-move threat that increases my chances of winning an already won endgame, AND there is nothing better to play, then there is nothing wrong with the move. The obviously best plan is 13. Qg4 14. Nce2 15. c3 16 Kf2 17 Nf3 18. 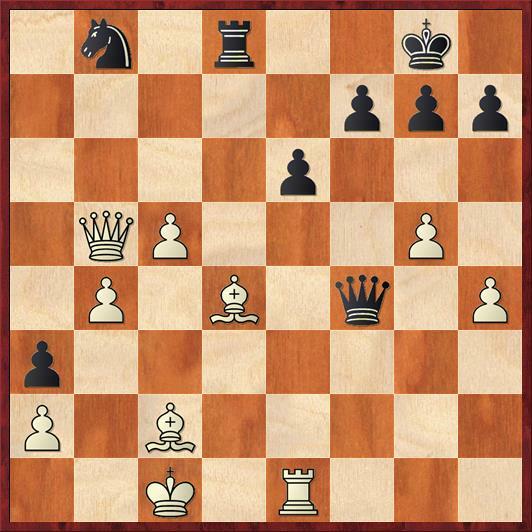 Rhg1 -simplifying the position, eliminating any danger to your king, consolidating your extra pawn, and smoothly completing your development. 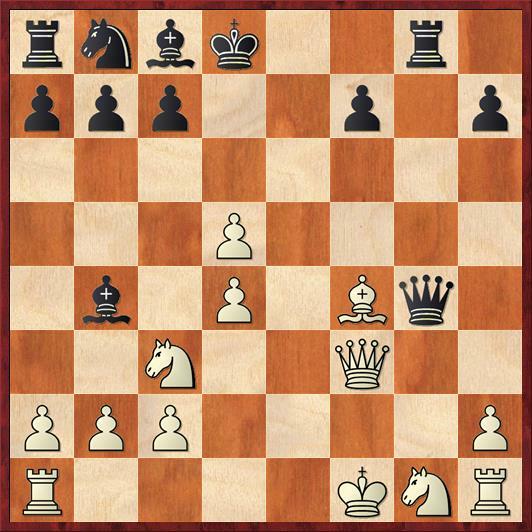 A shout out to Gjon Feinstein, who introduced me to the positional concept of retreating a knight to the second rank to straighten out your pawn structure and take the sting out of an enemy bishop posted on their N5. I’m so glad you wrote this! The fact is, I rewrote the third section considerably after I looked at the game with Rybka. My initial impression was that 13. Ne4 was a blunder for just the reasons you said — I’m chasing material and venturing into tactical complications when I should be consolidating. Then I looked at Rybka and it said that 13. Ne4 was a perfectly good move — in fact, its #2 choice. So I can’t really call it a blunder. But what I can say is that it’s a good move *provided* you play it with the intention of following up with 14. Nf2. That’s actually a really nice plan. But that was not my intention. So, knowing my intentions, you can definitely give 13. Ne4 a question mark. But I think your plan is perhaps even better because it does not require any calculation. Why go into a line that requires precise calculation when you don’t need to? In my original draft I wrote a paragraph about why the queen trade is desirable for White. (1) I’m ahead in material, so in general, trades are good. (Of course, specific trades may be bad; this “general principle” always needs to be applied with caution.) (2) My king is a little bit more exposed than Black’s, and a queen trade definitely helps with that. (3) Most importantly: SIMPLE CHESS. White’s job in the opening is to finish his development. I shouldn’t be undertaking risky adventures like Nc3-e4-f6 when my development isn’t complete. 13. Qxg4 makes it easier to finish my development because the knight is not needed on g1 to defend the queen. You had at some point posted a blog mentioning some of the best of Jesse Kraai’s lectures on CL. I can’t find it for the life of me! Any chance you could link to it, or mention the specific lectures again? “What’s Popular on ChessLecture,” http://www.danamackenzie.com/blog/?p=1020. This post was mostly about which lectures of mine were the most watched on CL, but at the end I also give the top-ten list for the whole site. No surprise, 8 of the top 10 were Jesse’s lectures. However, as I discuss in the post, the most-watched lectures are not necessarily the best lectures. I think that CL eventually stopped showing how many times the lectures have been viewed, because it’s a semi-meaningless statistic. “A Small and Totally Unbiased Plug for ChessLecture”, http://www.danamackenzie.com/blog/?p=945. Here I write about just one of Jesse’s lectures, called “An Aesthetic Chess Ideal,” (8/6/2010). But I think that’s a good one to watch. The title is quintessential Jesse. Also, in the discussion after this post several people comment on favorite lectures by Jesse or by other people at chesslecture.com (or other sites as well).